A Cadem Survey released Sept. 7 revealed that for the first time since Sebastián Piñera came into office, his approval rating has dipped below those who disapprove of his presidency. 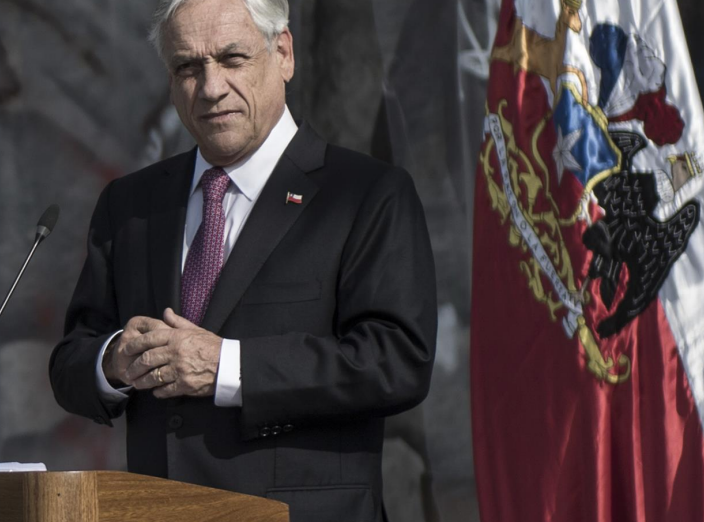 The survey stated that, of those questioned, 42 percent think that Piñera is doing a good job in his role since coming into office in January, but 44 percent disagree. The remaining 14 percent either didn’t know or had no opinion on the subject. This represents a fall from 54 percent approval from March to August. Looking back at ex-President Michelle Bachelet’s presidency, although she started with a very low approval rating, for the two and a half years in the middle of her presidency she enjoyed a commendable approval rating that was registered hovering around 70 percent. However, this dropped in 2017 during the run-up to the elections. Reasons given for Piñera disapproval in the last week of August (left) and the first week of September (right). The reasons quoted for Piñera’s disapproval were related to employment, the economy, education and crime. However, those who were positive about his presidency also mentioned his handling of the economy and crime, but also referred to management and immigration as policies they approved of. Reasons given for Piñera approval in the last week of August (left) and the first week of September (right). When asked whether they believed the economy was progressing during Bachelet’s presidency, in 2015 and 2016 only around 20 percent believed it was. However, when Piñera stepped into her shoes, public opinion on economic progress jumped to 48, although it has slipped down to 37 in recent weeks. This could be related to the negative effects on the economy caused by Argentina’s downward economic spiral and the US raising their interest rates across the globe, causing the peso to depreciate to 700 to the dollar. According to the survey, 48 percent agreed that the most important news of the week was the contamination crisis in Quintero that caused 358 people to develop toxic poisoning symptoms, highlighting a long-standing issue that could have had an effect on the recent dip in Piñera’s approval. The survey also asked interviewees about their opinions related to the 1973 coup d’état and subsequent dictatorship, revealing that most believed the country was still feeling the repercussions of its history. Today marks 45 years since the 1973 military coup and 85 percent of those surveyed believed that the military still has pacts of silence to protect members who were involved in the human rights violations of the dictatorship. Only 27 percent thought that the human rights violations during the dictatorship had been brought to justice and 75 percent were of the opinion that Chile is yet to be fully reconciled with its bloody past.